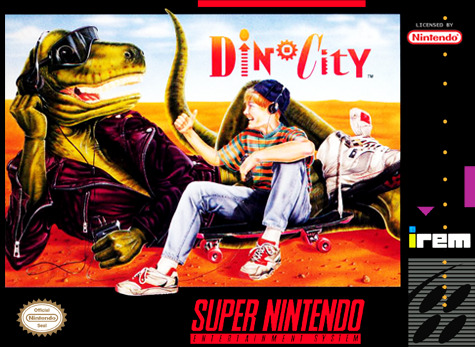 DinoCity for Super Nintendo has you and a friend are suddenly sent back in time all the way back to the days when dinosaurs roamed the Earth. Now you've got to team up with your newfound friends and fight the prehistoric terrorists in order to save the dinosaurs and their home. You can hop on a dinosaur's back and squash the Neanderthals, or you can challenge them to a hand-to-hand fight.